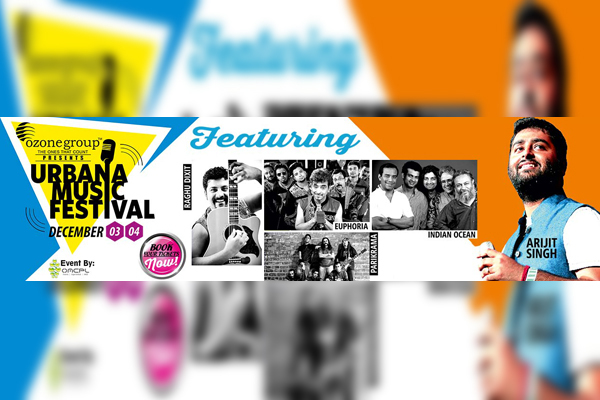 MUMBAI: Bengaluru folks can get ready for a weekend of musical extravaganza with Arijit Singh, Raghu Dixit and some of India's best bands like the Indian Ocean, Parikrama and Euphoria. 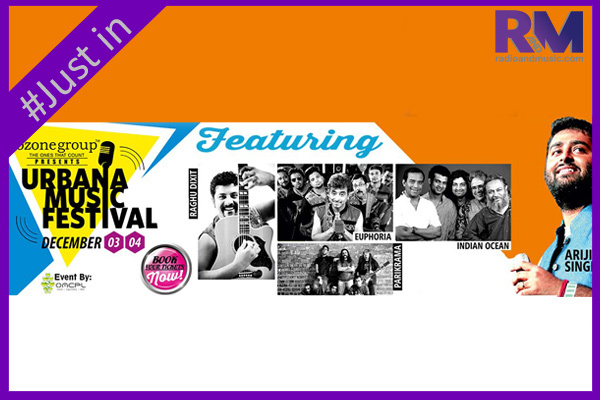 To celebrate life in the picturesque Ozone Urbana, Bengaluru is all set for Urbana Music Festival 2016 which will take place on 3 and 4 December 2016, at Ozone Urbana: Kannamangala. Day 1: Raghu Dixit and Arijit Singh. Day 2: Indian Ocean, Parikrama and Euphoria. Arijit Singh, the multiple awards winning soulful singer and Raghu Dixit, the self-taught guitarist and music producer (founder of The Raghu Dixit Project) will swing with their passion for music on the very first day. The second day of the festival is no less as there will be one of India's foremost bands Indian Ocean with their unique sound - an amalgamation of contemporary rock, Indian classical, jazz, folk music and fusion. Also, Parikrama that is a renowned rock band since last 24 years who play classic rock music finely combined with Indian instruments such as tabla, violin, and more. To finish, there will be Delhi based rock band Euphoria. Euphoria contains twisted sounds as they play rock music in Hindi. They have pioneering pop music in the mid-nineties and have been a sole of the pop music during that time. Kalank title track's poignant vibe stands out! Mumbai: One of the most awaited movies of 2019, Kalank, has been in news since the day of its inception. One of the fortes of Dharma Productions’ movies is the music track and Kalank’s album is no exception. MUMBAI: DJ and actor Ali Merchant will unveil his album on Holi, which will be celebrated on 21 March 2019. "I will be launching my next album on Holi. It is called Kadak 2019, which is created for festivals and arenas," DJ Ali Merchant said in a statement. MUMBAI: Darshan Raval garnered fandom and prominence despite losing reality television show India's Raw Star.